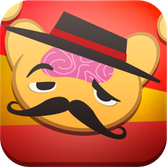 Tired of boring Spanish classes and lifeless language apps? Heck yes you are. 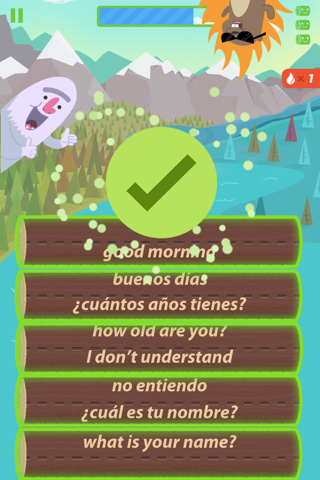 That’s why our Spanish app is crammed with nine rich and engaging games designed to build vocabulary, boost conversation skills and prevent you from becoming a flashcard flipping zombie. Instead, you’ll transform into a Spanish speaking savant with lessons that go beyond memorization and teach things like word gender, pronoun usage and the conjugation of -AR, -ER and -IR verbs. And since everyone learns at their own pace, our unique algorithm personalizes the experience by selectively repeating content with which you’ve struggled. 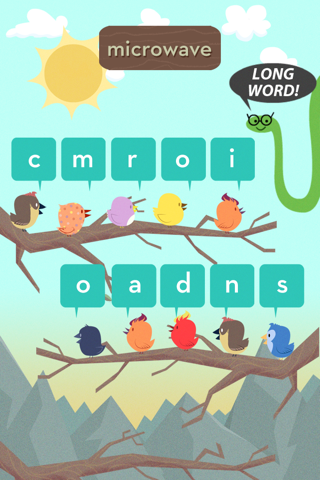 What’s more, spoken audio clips will help add that extra bit of panache to your pronunciation. 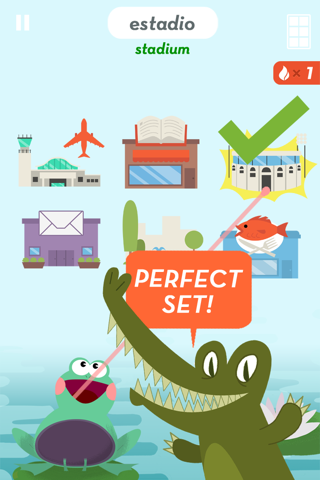 With 1000+ words to learn, 50 levels to master and 40+ hours of addictive content, this is the go-to Spanish app for adults, kids, students and travelers. 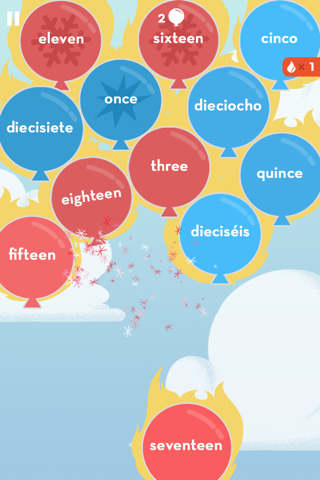 Whether you’re a beginner or an intermediate learner, it’s time to give your vocab a total body workout, Spanish style.